The Kate Wasilewski Scholarship Fund provides scholarship for hand-selected students to advance their training as they transition into assistant and teacher positions at the CK Chu Tai Chi. Kate Wasilewski, was a student at CK Chu Tai Chi from 1998 until her passing in 2018. Kate quickly moved from novice student to senior student assisting in form corrections, workshops and developing special classes. Kate was a vital part of CK Chu Tai Chi’s public outreach, participating in public demonstrations of tai chi and in competitions. 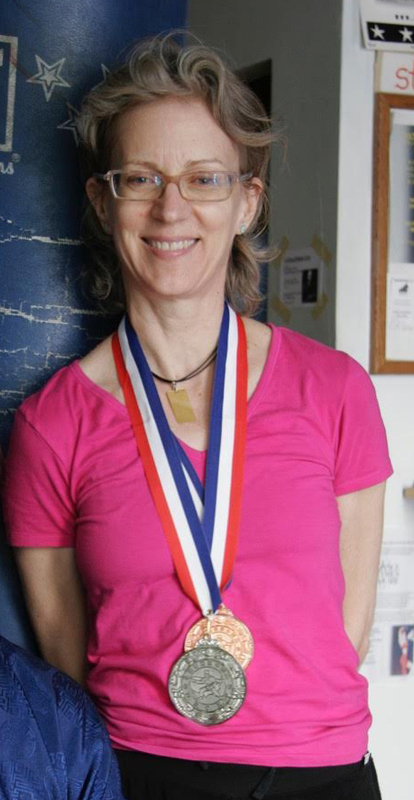 Kate claimed two medals in Push-Hands at the 2006 Baltimore U.S. International Kuoshu Federation Tournament. After Sifu CK Chu’s death, Kate was instrumental in the continued success of the school under Sifu Hyland Harris. Her absence is felt deeply by all of us at the school. The Kate Wasilewski Scholarship Fund keeps Kate’s pursuit of excellence, in life and in tai chi, alive.